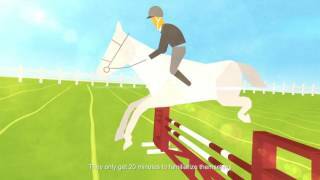 Modern pentathlon offers the ultimate test of fitness, courage and skill. 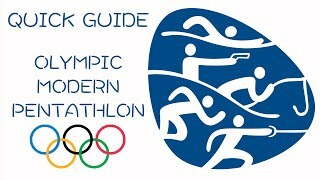 Comprising of five traditional sports competed over one day, modern pentathlon has been a core part of the Olympic Games since 1912. (which may include a double and a treble). Athletes fence every other competitor using electric epees and this is the only discipline where competitors can influence another athlete’s score. Athletes compete in a 50, 100 or 200m freestyle swim depending on age group. Athletes shoot (laser) a series of targets followed by run over a set distance. based on the results of the previous disciplines. Athletes ride an unfamiliar horse over a series of 9-12 show-jumps (which may include a double and a treble). The laser-run is the climax to the competition and athletes begin with a handicapped start, based on the results of the previous disciplines.